A lot of things stick out to me from my childhood — and one thing is the time I learned that age old lesson: never do anything halfway. I won’t go into the details, but it’s a lesson that I’ve carried with me throughout my life, and something I remind myself of a lot in dentistry — especially when it comes to missing teeth. Did you know that in tooth replacement, there’s only one option that truly acts as a replacement for the whole tooth, rather than just the part you see? If you’ve got missing teeth, they need to be replaced — and if you don’t want to just do it halfway, you need to choose dental implants in Islip. Made of sturdy titanium, dental implants are tiny structures surgically placed inside your gum. It might help to think of them as little screws — the bottom goes into your gum to replace the tooth’s root, and the top part is exposed to support the new replacement teeth. Once the implants have been placed, they require a few months’ recovery time for the bone to fuse with the new hardware. After they’re ready, your new replacement teeth will be securely placed onto the implants — for a stable, beautiful smile you won’t want to hide ever again. As I said before, dental implants really are the closest we can get to replacing the whole tooth. That’s because nothing else replaces the tooth and its root like dental implants — an important feature, considering the roots of our teeth provide the stimulation the jawbone needs to stay healthy. 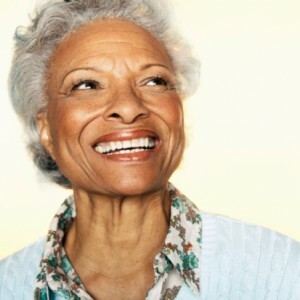 Without it, your bone will steadily deteriorate, resulting in even more tooth loss in later years. If you want to go more than halfway with your tooth replacement — and trust me, you do — dental implants are without a doubt your best choice. In order for dental implants to be successful, patients must meet two requirements. Adequate jawbone. Before we even begin discussing a treatment plan, we’ll thoroughly examine your mouth to make sure you have enough existing bone to support the dentures. Sometimes, too much deterioration has already taken place as a result of missing teeth, and bone grafting is necessary. Good overall and oral health. Additionally, we’ll make sure you’re maintaining good health — in your mouth, and overall. Some health problems, like gum disease or diseases that weaken the immune system, can inhibit the success of dental implants. If you want to go all the way in your tooth replacement — replacing the tooth and its root — dental implants are your solution. Schedule your appointment to talk about dental implants with the team in East Islip today.